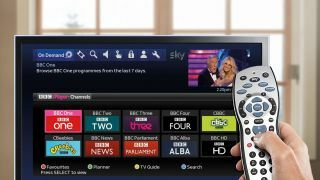 The BBC iPlayer has finished top of an annual poll, which monitors the buzz generated by brands and companies in the UK. The YouGov BrandIndex poll surveys 2,000 people on whether they've heard positive and negative stories about the companies in question. The iPlayer, which enjoyed another year of record viewership, boosted its mobile offering further and offered acclaimed coverage of the Olympic games, reached a score of 30. BrandIndex director Sarah Murphy said that the iPlayer's positive reputation had been unaffected by some of the scandals, which have enveloped the Corporation this year. She said: "With all the dreadful things that have happened, the BBC brand is still very strong. While the BBC umbrella brand is definitely being hit and is at the lowest levels ever seen, there has been no knock-on effect for products like the iPlayer and its .co.uk website." The Beeb's on-demand service beat high street Retailer John Lewis, which scored 24.6 points, while 2011's winner Amazon came in third with 24.1 points. Google, which finished in fourth place last year, dropped out of the top ten completely in 2012. Murphy says the continued row over allegations of tax avoidance in the UK has affected the reputation of the two American giants. She said: "Amazon had a score of 32.1 last year, so a fall of eight points is a statistically significant drop for them. What we'd attribute that drop to would be the recent tax avoidance debate. "Until now, Google had always been one of the strongest brands we track." Apple's Maps debacle, the relative disappointment surrounding launch of the iPhone 5 and the courtroom drama with Samsung may have affected Apple's reputation in 2012 among the UK public. It's overall BrandIndex score dropped from 24.6 points to 15 points in 2012, although the iPad brand enjoyed a good year, mainly due to the iPad mini's positive reception, BrandIndex claimed.